Koh Samui located in the Gulf of Thailand is the Thailands second largest island. The island is very well known for its crafts and coconut grows as well as 5-star resorts and exquisite spas. Koh Samui is also a mid-point for people travelling to Koh Tao for diving and Koh Pha Ngan for its world famous full moon parties. 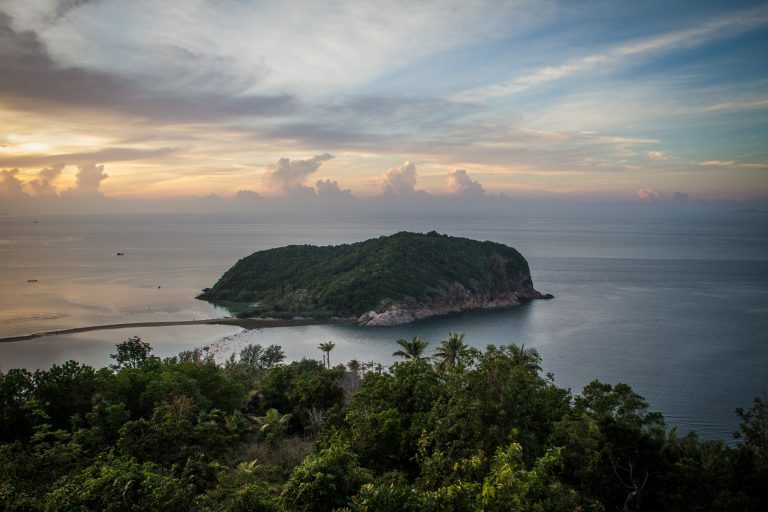 The island features 12 meters tall statue of Big Buddha located on a small semi-island connected to Koh Samui. Most travellers come to Koh Samui for relaxation and beautiful beaches or stop here for a few days before they continue to other remote islands. There are several boat tours, ATV adventures and jungle trekking experiences available in the isle that will introduce you to the authentic Thai culture and traditions. Thailand has something for everyone. It’s always one of the top tourist destinations in the entire world. The country is known for its rich culture, diverse landscape, and beautiful scenery. You can discover these and a lot more from anywhere in Thailand. Thai cooking class with 180 courses on the menu and local market tour in Koh Samui. The perfect way to spend your day exploring the surreal underwater world is to try out our PADI Discover Scuba Diving Program. The only operating bungee jump in Koh Samui - ready to accomodate your need for thrills and adrenaline pumping fun! Enjoy a day trip in the Gulf of Thailand on board our brand new Luxurious Sports Cruiser. Koh Nang Yuan, Mango Bay, Shark island and more! Discover Scuba Diving Program teaches you basic safety concepts and skills. Take your first dives at a max depth of 12m and meet the underwater world! Samui&#39;s most authentic Thai culinary experience &amp; organic micro farm! Yes, You can Fly! An unforgettable experience. Indoor Skydiving for all from 20kg &amp; more. No experience needed. PADI Open Water Course is the most popular scuba diving course for beginners. This is the first step to a whole world of diving opportunities! Spend a day exploring the nature of Ang Thong Marine Park, snorkelling, kayaking and sightseeing. Transfer, breakfast and lunch included! If an ATV adventure is what you&#39;re looking for, then you have come. Seize the power of the new ATV model fit for land and water!